Amelie's Blog : A whole new world to ESCAPE within a click. Since young, I have always jotted that watching TV is one of my favorite hobby instead of gardening, sports and reading books. I'm lazy and I prefer something that's much more simple. Holding the remote and sit like a boss. Everything is beyond my control. It's definitely LIFE and so hobbilish. If you are a TV-fans like me. You gonna be mad and excited. 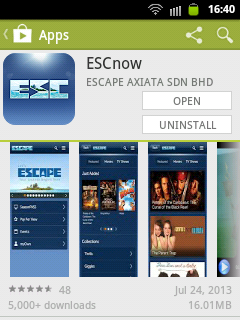 Because, instead of carrying the TV around, Celcom has officially launched a new apps which can make our life more easier -- ESCnow. You can watch TV now in your mobile device! It's an online movie library with varieties of Hollywood, Korean, Hindi, Indonesian and local movies! Besides, there's also live events, news, concerts and TV series. Your world of entertainment is just in your hands! You can even choose for your favorite movie according to their genre! Easy Peasy! For me, I love thrilling and comedy movies. Feel the excitement and laughters all the time! Meanwhile, ESC have more than 500 movies from only 80 cents per hour! SO CHEAP. HOW CAN YOU RESIST ALL THESE?? 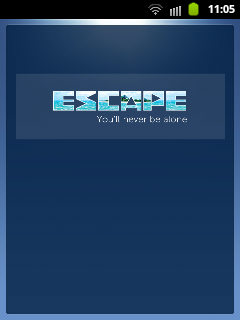 Register at www.ESCnow.com now to ESCAPE. And download the apps now for free! It's available on iOS, Android, MacOS and windows. It's always ours, anytime and anywhere with PLAY and PAUSE function. So no worry, because you can always continue watching! 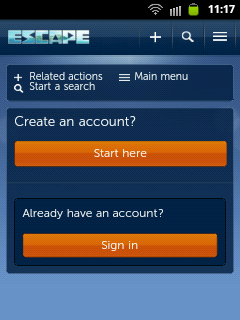 *Available exclusively for Celcom subscribers nationwide.